The Society undertakes a thorough affordability assessment to ensure that we lend responsibly. How much you can borrow is calculated through a combination of your income, regular financial commitments and household / lifestyle expenditure and the term required at an agreed stressed rate to ensure that affordability still exists beyond the initial product rate. In assessing affordability all unsecured loans / HPI agreements that have more than 6 months to run, credit cards and maintenance will be deducted. In addition, deductions to applicant's disposable income will also be made for declared household and lifestyle expenditure which is compared against statistical data for accuracy. We request that you obtain accurate details of your applicant's income and expenditure which will ensure a more accurate calculation. We also recommend that prior to beginning a Decision in Principle that you have ran your clients through our affordability calculator to ensure that the loan is affordable. If you have any questions regarding the use of the calculator please check our frequently asked questions section or alternatively contact our Intermediary Support team on 0345 602 2338. Minimum age for applicants is 18. Maximum age for borrowers at the end of the loan term is 80. All applicants must have at least 2 years to serve. Where the applicant will also live in accommodation provided by M.O.D. then they must be able to support both the new mortgage and any associated living costs for the M.O.D. property. This must be factored into the affordability assessment. Where the applicant will be living in M.O.D. accommodation on a full time basis then the property to be purchased must be occupied by spouse/partner. Where it is a sole applicant purchasing the property it must be occupied on a full time basis. It must be plausible that applicant can commute to place of work on a daily basis unless on tour overseas. A 3 year residency history is required. BFPO addresses are acceptable. The Personal Information Note supplied to the applicant by the Ministry of Defence which details the conditions in which the loan is based must be provided with the application before a Binding Offer can be issued. This will detail the monthly payment + insurance premium to be paid. The monthly payment + insurance premium to be paid by the applicant must be included as a monthly commitment for affordability purposes. This would be added as an unsecured loan to the online affordability assessment. We will expect that the borrower's main residence is currently within the UK and that they will reside in the property whilst in the UK. We do not accept 'ex-pat' type scenario where the applicant wishes to purchase a property in the UK and return at a later date. We will only consider applications where the applicant's spouse/partner or immediate family will be a permanent resident in the property. The property must not be left unoccupied for more than 30 days a year. If the applicant is required to pay for accommodation whilst working abroad then details of this must be disclosed during the application process and deductions made within the affordability assessment. We would normally expect to see salary paid into a UK bank account either direct or via transfer. The salary paid must be in UK sterling. We do not accept salary paid in any other currency as we do not currently lend for Foreign Currency Loans (see below). . The employer must be generally 'Blue Chip' for both UK and International companies. Evidence that the mortgage conduct on all investment mortgages is satisfactory with no missed payments. Sight of conduct via credit bureau data is acceptable. The rental income received must cover the current mortgage payment by at least 145% based on current pay rate to cover rental voids, management /maintenance costs associated. Where the rent received does not pass the above stress test then the shortfall will be taken as a monthly commitment for affordability purposes. Where applicants have a significant investment portfolio (greater than 5) then we would also expect to have sight of their BTL portfolio summary. Please see 'Let to Buy' for those applicants who are looking to rent out their existing property and purchase a new home to reside in through the Newcastle. Our full Buy to Let lending policy is available here. Contract workers are considered higher risk to the Society due to affordability concerns once a set contract period has ended. For this reason we would be looking for a track record of employment within the same sector for at least 2 years. This can be evidenced via last 2 P60's. Applicants who have fixed term contracts within professional occupations such as doctors, teachers and solicitors, will be regarded as in permanent employment. Applicants from contract workers in other fields will be considered on their individual merits. We require sight of current contract confirming income and duration. For applicants employed on contracts of 12 months or more we would expect there to be at least 6 months to run at the time of application. For those on shorter term contracts then we would expect there to be at least 3 months remaining. Written confirmation from the employer must be sought that applicant's contract will be renewed beyond the current expiry date or we have evidence that another contract has been signed with another company. Applicants employed through recruitment agencies will not be accepted unless a 2 year track record in the same line of work can be established. Those employed under zero hours contracts will not be accepted. IT contractors can be considered as long as a track record within the Industry can be established. This may be evidenced via previous contracts in conjunction with P60's or last 2 years SA302's and corresponding Tax Overview forms if self employed. If the applicant is employed via an umbrella company we will take the gross income as sighted via contract and payslips. Construction Industry Scheme Workers will be considered on the same basis as contractors. As part of our overall assessment, the Society will credit score all mortgage applications to assess the credit worthiness of applicants. Applicants will be credit scored at Decision in Principle stage and this will lead a footprint on their credit file. The credit score will either accept, decline or refer applications to underwriters for a manual assessment. Property types including terraced and semi-detached houses subject to an overall site assessment and input from panel valuer. Flats will not be considered at this stage. Traditional construction types will be considered. Modern methods of construction will also be considered subject to panel valuer input and suitable warranty and accreditation requirements. Funds are released on an arrears stage payment basis. Please contact BuildStore to discuss your client's requirements in full. Our underwriters may be willing to accept a maximum of 2 satisfied defaults below £250 from utility companies, communications or mail order with satisfactory explanation within the last 3 years. This is still subject to the whole case being good quality. You can register and submit a residential DIP via our Intermediary website www.newcastleis.co.uk. By registering online, you will set up your unique login details and, once approved, join our panel of advisers. We will aim to review your registration within two working hours of you applying (Monday to Friday 8am to 6pm). Once you have been accepted, you will be able to log in and get an instant decision in principle, confirming whether a client has been approved for a mortgage with us, as well as manage DIP cases you have submitted online. On completion of the DIP, you can now progress to full application and also submit supporting documentation via our document upload facility. Where an applicant has been employed for less than 6 months we may require sight of the employment contract. This is instead of an employment reference which can often lead to delays in processing the application. Where it has been established that the property is to be purchased at a discounted price then we can consider lending 100% of the purchase price subject to valuation confirming that LTV based on open market value would not exceed 95%. Additional borrowing above the discounted purchase price can only be considered subject to funds being for home improvements only and LTV not to exceed 95% of open market value. No capital raising for repayment of debt is allowed. The acting solicitor must ensure that defective title indemnity insurance is arranged where a discounted purchase price is taking place. This protects the Society from future claims under the Insolvency Act. The current occupant of the property would be expected to move out of the property. We will not accept a sitting tenant and the property must be vacant on completion with no charges /restrictions from previous owner remaining. We will no longer accept mortgage applications where the salary paid in a currency other than UK sterling is to be used for affordability purposes. In addition, we will no longer accept other sources of income that is not UK sterling based i.e. rent received from overseas properties, overseas investments. Where the loan is interest only or part interest only / part capital repayment (currently not available) we are also unable to accept a repayment strategy that is based on assets that are held outside the UK. All Non-EEA nationals must be able to demonstrate that they have indefinite leave to remain in the UK. Alternatively, professional applications on long term visas may also be considered where there are at least 2 years remaining. We currently do not accept new mortgage applications that require a guarantor. The minimum acceptable lease term on new build properties is 125 years for flats and 250 years for houses. The maximum starting ground rent on all new build properties with a leasehold tenure is limited to 0.1% of the property value. The Maximum mortgage we will lend is £450,000 against a maximum purchase price of £600,000. The scheme cannot be taken in conjunction with Help to Buy Armed Forces scheme. The borrower must contribute at least 5% deposit from own funds or via a non-refundable family gift. In line with Policy for standard new build properties, a CML Disclosure of Incentives form must be completed by the developer and presented to the conveyancer prior to the certificate on title being submitted to the lender. Funds will not be released on any new build property, inclusive of those purchased under the Help to Buy Scheme until this form is received. Where incentives exist, we allow up to 5% incentives including deposit contributions, cashbacks, legal costs, stamp duty without deductions from the purchase price. Costs that don't have a material impact on the value of the property such as white goods, carpets, curtains are not treated as incentives. No additional borrowing permitted unless this is to repay the Help to Buy Equity loan in full. Partial repayment/stair casing is not permitted and no additional funds can be used for other forms of debt consolidation / home improvements. If repaying the Help to Buy Equity Loan in full please refer to our standard residential product range. The new mortgage term cannot exceed the unexpired term with the previous mortgage provider i.e. if the original term was 25 years and the remortgage takes place in year 5 then the maximum term we can lend on is 20 years. The minimum permitted staircasing amount is 10% of current valuation. A valuation report instructed by ourselves is required in all instances to confirm the current valuation of the security property. The Society will initially attempt to identify all customers electronically by using software which checks a series of databases for identification information. This search does not affect your client's credit rating, however in some cases we may find it necessary to request paper identification to prove name and/or address. Where required, any documents can be provided using our document upload facility. Applicants must supply proof of residence. Any utility bill, council tax bill, bank statements or mortgage statements are acceptable, provided confirmation sight of the original documents is supplied and they are from within the last 3 months. The Society will be required to confirm identity. Acceptable documents include a passport or driving licence photocard. Intermediaries are responsible for ensuring that applicant's identity and Proof of Residency are verified as part of the application process. Applicants must normally have been resident in the United Kingdom for a minimum period of three years. This can be waived for members of the diplomatic corps, a member of HM Forces, or employees of internationally based companies, providing their family will be resident in the property. All Applicants (EEA & Non-EEA) who have not resided in the UK for at least 3 years will need to be referred to an underwriter for assessment. Non-EEA nationals will require evidence of indefinite leave to remain in the UK. Where a reduction in income is anticipated in the near future then the impact of this must be considered for affordability purposes. This would normally include applicants who are close to retirement, those that are on or due to go on maternity leave or those that are looking to reduce working hours. We would expect that any future changes to income are confirmed on the application we receive so that this can be taken into consideration by our underwriters. Where applicants are on or due to go onto paternal leave then we will require details of the date they are expected to return to work, the basis on which they will return (i.e. Part time / Full time) and the new salary on return to work. This will need to be verified by the applicants employer. 1 month personal bank statement per applicant. Must show 1 corresponding salary credits being received. P60 or payslip showing bonus. Completed Accountants Certificate. (NBS to request). For all forms of additional income which is being taken into account, documentary evidence will be required. A family member is defined as a close family relative, normally a parent or step parent. Both applicants must be employed/ self-employed / in receipt of pension income. The non-occupying borrower should obtain independent legal advice given the nature of the product and joint and several liability for the debt while having no ownership rights over the security property. In order to obtain an illustration on behalf of your client, please source from either Trigold or Mortgage Brain. Currently the Society is unable to produce an illustration for your client. Our maximum income multiple is up to 5.75 at underwriters discretion. Year to date earnings on payslips must show these payments have been consistent. Gross income, including bonus, must be in excess of £100,000. Newcastle Building Society has a partnership with the UK's leading conveyancing panel management specialist LMS. LMS provide conveyancing services to the Newcastle supporting the application process for broker customers. Where our products are offered on a fees assisted basis (where a fees assisted legal transfer is included in the features of the product) LMS will provide the conveyancing service. In addition LMS are also able to provide a low cost fee paying service. For details of the costs involved please refer to the fees brochures by clicking here. Should your client wish to use their own solicitor/conveyancing firm in the purchase or re-mortgage of their home, it is important to note that included in the Society's Panel Acceptance criteria is the requirement for multiple partners. Sole Practioners are not accepted to our panel and any request will be rejected. Where sole practitioners are instructed they may act for your client however we will instruct LMS to act on behalf of the Society. In order to provide this service there will be an additional charge to your client and an outline of these costs can be found on http://www.newcastleis.co.uk/docs/Separate-Representation-England-and-Wales.pdf. If the proposed conveyancing provider is declined a customer can select any other solicitor, including LMS appointed firms from the panel without incurring additional Society fees. Lending into retirement applies to both those applicants whose mortgage term will take them beyond normal or anticipated retirement age and those who are already retired. Affordability will be assessed solely on post retirement income. In both instances, the maximum age for borrowers at the end of the loan term is 80. This is assessed on the oldest borrower. We may be able to consider a term beyond the age of 80 for existing borrowers in exceptional circumstances. Where the rent received does not pass the stress test then the shortfall will be taken as a monthly commitment for affordability purposes. We will consider loans above 80% LTV on referral to an underwriter via Decision in Principle. 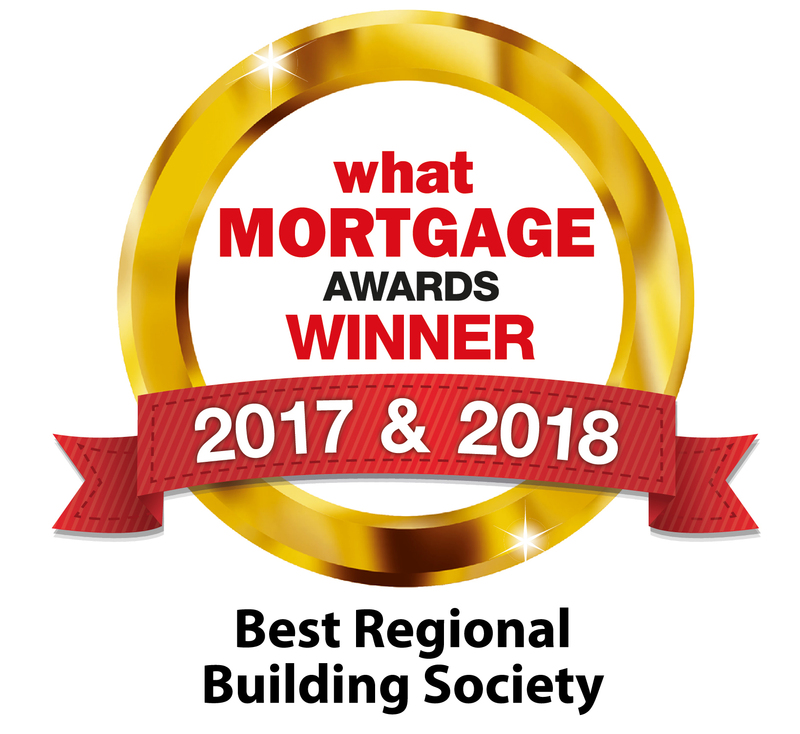 We will also consider applicants who are looking to remortgage a property already mortgaged to Newcastle Building Society onto one of our Buy to Let schemes and purchase a new residential property to be mortgaged to ourselves. Minimum/maximum loan amounts are product specific. Minimum mortgage advance is £10,000 (or £1,000 for further advances), maximum advance is £1m. Loans over £500,000 will require underwriter approval at decision in principle stage. The purchase of residential properties for owner occupation, including the purchase of residential properties for a family member to reside in. Normal criteria caps lending at 95% loan to value inclusive of fees. Home improvements - estimates not required up to 80% LTV. Over 80% LTV - the requirement for estimates is at the discretion of the underwriter. Remortgage fees can be added to the loan if the final LTV does not exceed 95%, product terms permitting. Capital raising is not allowed for business use, currency speculation or to repay gambling debts. The maximum LTV is 80% for all applicants. Where applicants are capital raising for debt consolidation any funds greater than £50,000 will be reviewed by an underwriter at decision in principle. It is expected that as part of the advice process you have fully considered all alternatives to adding unsecured debt to the mortgage. Minimum repayment term is 5 years (or 3 years for further advances) with a maximum loan term of 40 years. Max LTV's are product specific and may vary from time to time. Remortgages for capital raising purposes including debt consolidation are not permitted on a mortgage above 80% loan to value. Capital raising is described as anything other than the replacement of a home purchase loan or a loan for the purposes of home improvement. A New Build property can be classed as i) a property being occupied for the first time in its current state ii) A refurbished property (existing residential unit(s) being occupied for the first time it in current state iii) A converted property (re-development of non-residential unit(s) to residential unit(s) being occupied for the first time in its current state. The maximum loan to value for new build houses is 90%. Incentives include builders/developers providing costs for deposit contributions, legal fees and stamp duty but exclude. The maximum loan to value for new build flats is 85%. Incentives include builders/developers providing costs for deposit contributions, legal fees and stamp duty but exclude costs that don't have a material impact on the value of the property such as white goods, carpets, curtains. The CML Disclosure of Incentives form that must be completed by the developer and presented to the valuer on site. If this is not seen a nil value is returned on the valuation form. Please note that we do not accept assignable contracts in any form. Maximum number of applicants is 2. Where there is track record of applicants taking pay day loans frequently over the 12 month period then the underwriters reserve the right to decline the application. Piece workers can be considered where an established track record exists which can be evidenced by receipt of the last 2 years P60s. We will consider loans from applicants currently in a probationary period. This is normally subject to a 12 month track record in the same line of work. For applicants employed within the Police Force will normally have a minimum 2 year probationary period. We will accept loans where the applicant has been employed in role for at least 12 months. The Society only pays procuration fees for new applications. It does not pay fees for further transactions with existing customers including further advances; porting to a new property; or product switches. Fees are paid to the Club, Network or Principal within 14 days of completion of the advance. For contracted applicants we will require a copy of the applicants current contract and it must have at least 1 year still to run. Where applicants are self employed then we require 2 years trading accounts and last 2 years HMRC Tax Assessments and corresponding Tax Overview Forms. For applicants who are coming towards the end of their professional career and especially for sportspersons, documentary evidence will be required to establish how they intend to support the mortgage post career. There is no restriction on age or term other than normal policy guidelines. The Society will make advances on any acceptable security in England, Scotland & Wales. Properties in Scotland still require a transcript of existing report from the applicant on the proviso that the valuer is on our panel and the transcript is completed on NBS papers. Alternatively, we will instruct our panel valuers. The tenure of acceptable properties will be freehold or leasehold in England and Wales, or their Scottish equivalent. All properties must be assessed by a suitably qualified valuer with sufficient professional indemnity cover. All valuation instructions (with exception of Scotland) will be made by the Society via our nominated panel. Third party instructions are not acceptable. We accept applications on a repayment, interest only or part interest only basis. We will consider lending 100% of the discounted purchase price as indicated in the offer agreement between tenant(s) and Local Authority / Housing Association. We will also consider lending additional funds up to a maximum of 80% LTV of open market value subject to funds being used solely for home improvements. It will be a requirement that estimates for the works to be carried out are received prior to us instructing the valuation. We will consider lending up to £5000 maximum upfront to fund immediate home improvements as long as any additional funds are retained until all works completed and a reinspection confirms. It will be a condition of the mortgage that any additional funds in excess of the discounted purchase price will still rank higher than the Local Authority's charge on the property. Under no circumstances will we lend additional funds for capital raising including payment of fees to any solicitor or third party. Only the applicants named on the Right to Buy offer agreement can be named on the mortgage. The Society's charge should always be registered as first priority ahead of any Local Authority. The valuer must confirm that there is a ready and sustainable demand for the property to be mortgaged. In addition, the valuer should look to confirm that there is at least 50% private ownership within the immediate vicinity. Flats will be considered as long as adhere to current policy i.e. no high rise flats, maximum 5 storeys. Note that maximum LTV would be 75% of the open market as per our standard criteria for ex local authority flats. Further Advances will be considered subject to all funds must be used for home improvements within the discount period. Second homes / holiday homes must be strictly for the sole use of the borrower and dependent family members and must not be let. The maximum loan to value for such properties is 75% and the applicant's financial status must be sufficient to cover both loans where we will deduct the applicant's main mortgage as a monthly commitment. Maximum loan is £500,000. On completion of the build, following receipt of completion certificate we will allow borrowers to transfer to a standard residential product and waive any Early Repayment Charges applicable. It is expected that the build is normally completed within 2 years. Self Employed applicants must have been trading for a minimum of 3 years to accurately assess track record within chosen line of work. Where applicants do not have 3 years trading it will be at the discretion of the underwriter to approve. The income level to be used will be based on the average of last 2 years net profit. Where profits have declined in the last 12 months then we only use the most recent year to assess for affordability. We may also require a projection from the applicant's accountant to ensure that this trend is not continuing. Where net profit has declined in consecutive years or drawings continue to exceed net profit then the application will be declined. Applicants who have more than a 25% shareholding in a limited company will be classed as self employed for our purposes and 2 years accounts will be required. Income will be assessed by using salary paid and either dividends received or applicants share of net profit. Note that for our affordability model we require the dividends received to be net of any income tax paid. Please obtain this information from applicants SA302's. The deposit must come from the applicants' own resources. Gifted deposits from parents and other close family relatives will be allowed subject to there being no repayment vehicle in force and the underwriter being happy with the arrangement. In all instances we will require signed copy of our Gifted Deposit Form which can be downloaded from our useful documents section. This form should be sent with supporting information when you apply for the mortgage. Where the source of the deposit is confirmed as 'savings' the Society reserves the right to see documentary evidence of the deposit prior to completion. Crypto currencies such as BitCoin are not considered an acceptable source of deposit. "Flying-freehold" - if more than 25% of property involved. Houses with rooms let or likely to be let to several tenants where premises have not been converted or constructed for this purpose. Properties where the unexpired lease has less than 85 years remaining on completion. Unmodernised flats and flats which are above commercial premises. Exceptions can be made for exclusive developments and certain areas of larger British cities where the valuer has confirmed that there is a ready and sustainable demand. Studio flats are normally unacceptable but may be considered in prestigious developments where a ready and sustainable demand exists. This is subject to valuers comments. Large old unmodernised houses where accommodation is in excess of the applicant's requirements, particularly where there are attics and/or basements. Council houses built in a non-traditional way, i.e. prefabricated reinforced concrete. Freehold flats with the exception of 'Tyneside Flat' style or where the application will own a share of the freehold with a management company in place to oversee the maintenance of the building. Houses with restrictions to ownership (e.g. retirement flats, restrictions on occupation to local inhabitants). This list is not exhaustive and any application where there is a restriction should be referred to an underwriter. Properties with any agricultural restrictions. Houses under shared ownership / equity where a sales restriction / charge will remain on the property despite the borrower owning a 100% share. Uninsurable properties e.g. due to flood risk. Uninhabitable properties (e.g. no kitchen/bathroom/roof/mains services not connected). Properties with invasive plants (i.e. Japanese Knotweed) within the immediate curtilage of the property. Flats with a Shared Balcony (Deck Access). Alternative or additional fees may be charged for special schemes, please refer to specific product pages for details. * All of the above fees include an administration fee to the Society of £112.50. Please note, for remote properties, further charges may apply for reasonable travel expenses incurred by the valuer in order to carry out an inspection.